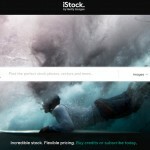 Adobe Stock photos are over 40 million as of today, giving you a variety to choose from. Curated by Adobe, these royalty-free and high-quality photos, graphics and illustrations are available for download through pay per image and subscription plans. Members of Creative Cloud are given 40% discount when they purchase photos. Non-members are also given purchase choices that meet their own needs.